Four more former tax officers of ex-President Viktor Yanukovych's time were detained. 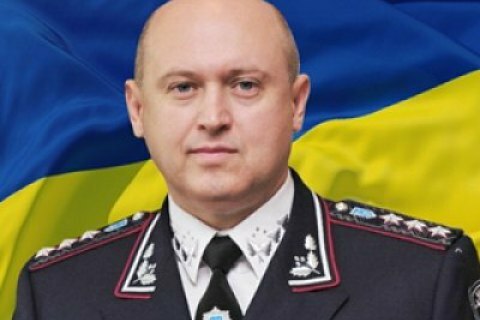 The Military Prosecutor's Office and the Security Service of Ukraine (SBU) have detained and searched the house of the former first deputy head of the State Tax Service (currently, the State Fiscal Service), Col-Gen Andriy Holovach, Prosecutor-General Yuriy Lutsenko has said on Facebook. Holovach was arrested within the framework of ex-President Viktor Yanukovych's case, Lutsenko explained. Four more tax officers who held office under Yanukovych's Income and Levies Minister Oleksandr Klymenko were detained. "Overall, they are suspected of illegal VAT refunds to fake-looking companies which used to be controlled by the crime ring of Yanukovych, [ex-Prime Minister Mykola] Azarov and Klymenko to the sum of 3,166,090,000 hryvnyas [about 127.6m dollars]," Lutsenko said. Holovach was granted bail of 200m hryvnyas.